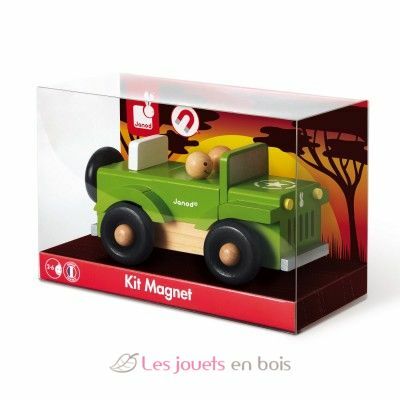 4x4 Magnet Car Kit - Janod J05216, a wooden building toy, the first scale model for kids. Give your child his first scale model, easy to assemble. 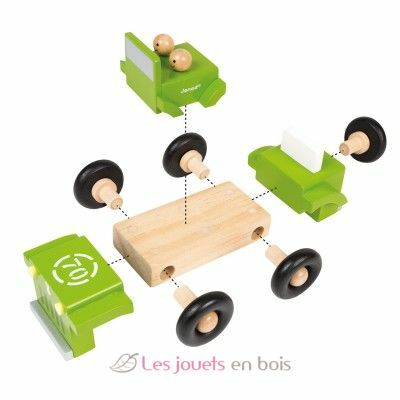 Here is a nice wooden fireman SUV that consists of 9 magnetic parts which are assembled with each other. It is therefore both a scale model, a building game... and a 4x4 ! 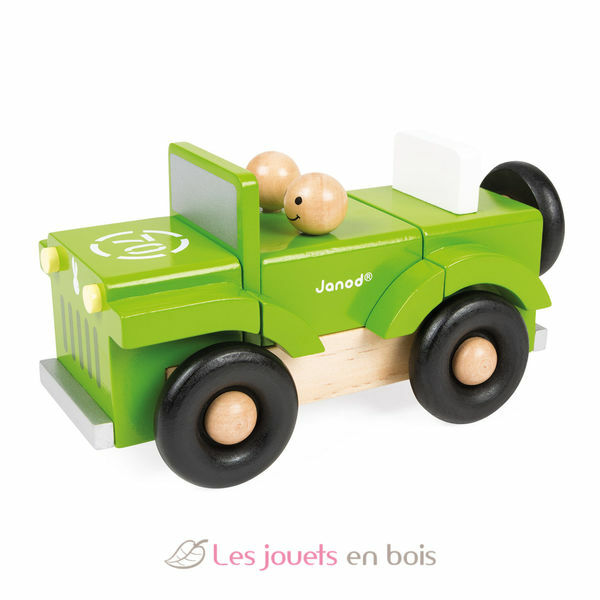 This off-road car is a part of a new learning collection made by Janod item number J05216 suitable from 2 years+.